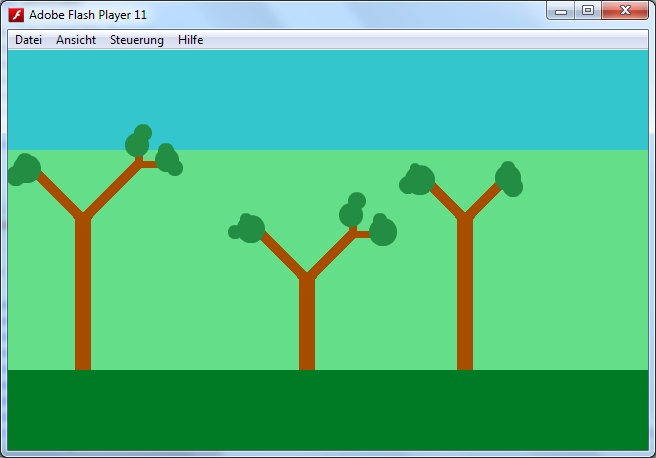 Finally I was able to implemented the leaves on the trees. This took me some unexpected effort because I had to figure out some specialties about HaxePunk and different behaviour of Image, Graphic and Entity objects. So take a look at those beautiful trees ;). Next to add is the buildings and game logic. Have to finish it today. Hope it will work. Previous PostPrevious Can I Finish in Time?